Here are my top 10 favorite spiders and information about them. Spider pictures obtained elsewhere. I will add photos of the males as they are generally more attractive than the females. Spiders, especially males, range in color and size and are the most amazing creatures on this planet to me. So, here we go. Enjoy! #10 Micrathena sagitatta or Arrow-Shaped Micrathena Spider. 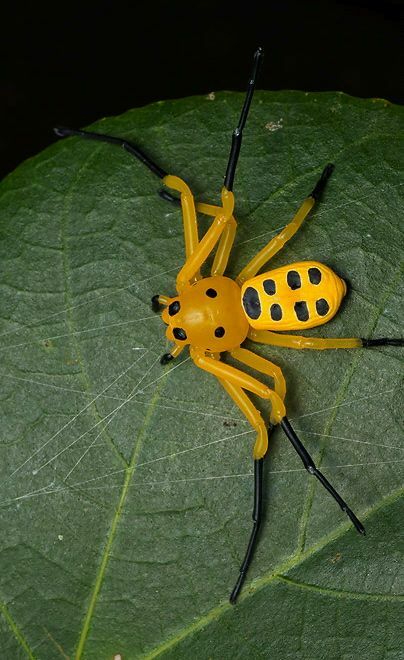 This spider is found on the eastern part of the United States and also in Central America. 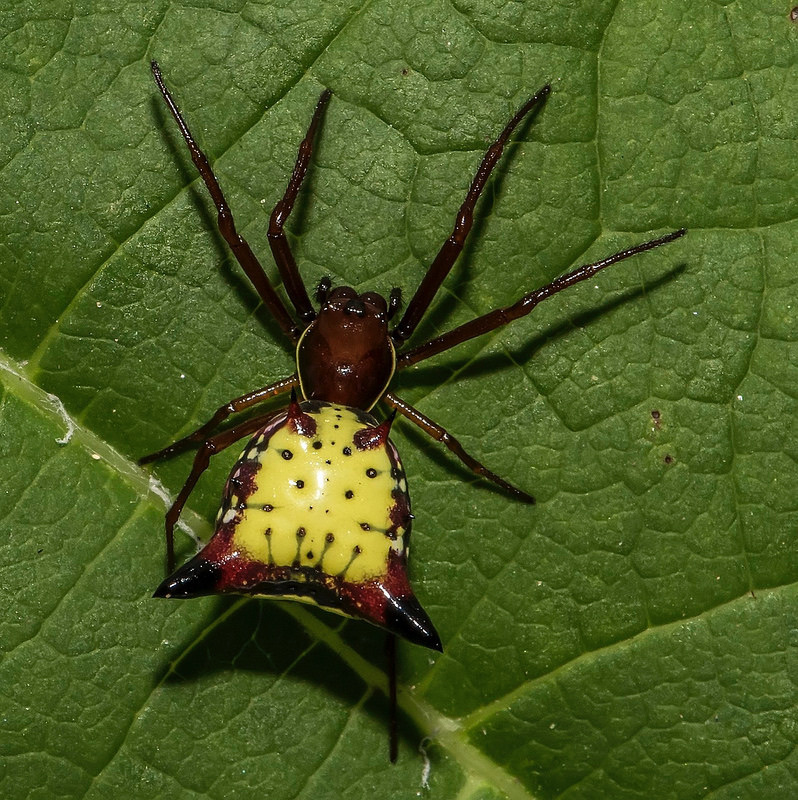 This is a favorite of mine due to the colors and unique shape of the spider. They only live one season, laying their eggs in Autumn and then dying, with the eggs hatching in Spring. 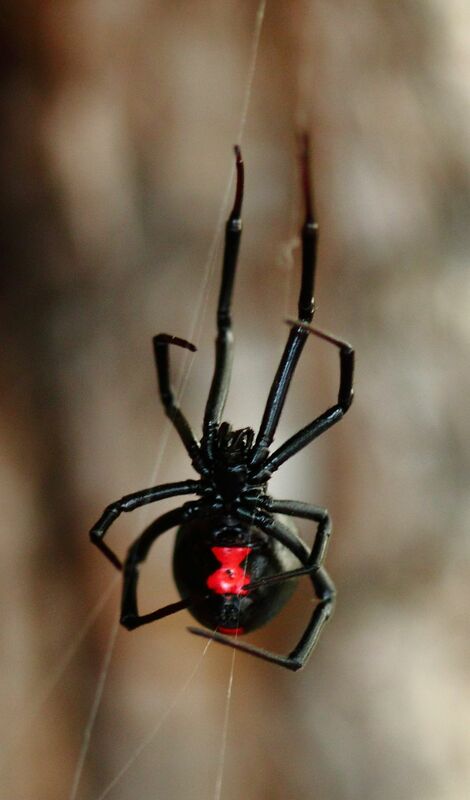 #9 Latrodectus mactans or Black Widow Spider. These are gorgeous specimens for several reasons. 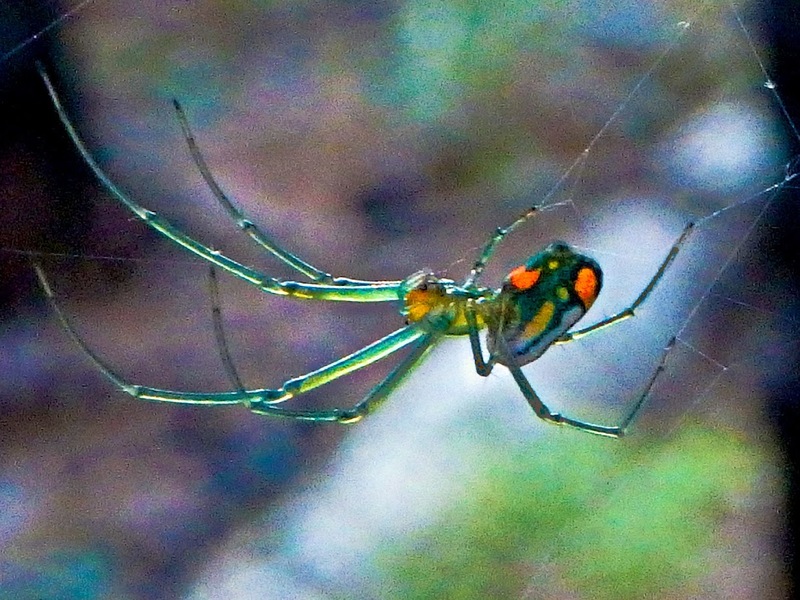 The first being the unique red hourglass on the underside of the spider, that only females are toxic to humans, and lastly that they get their name from eating their mate afterwards. They’re found mainly in the southern portions of the United States, however recent warmings have caused them to slowly push north as far up as Canada. #8 Leucauge venusta or Venusta Orchard Spider. This spider can be found all over the United States and even in Mexico. It has an elongated abdomen and very colorful. Ranging from mixes of green and yellows to oranges and bright reds, they are uniquely different. They are hard workers and are very efficient predators to small insects. #7 Heteropoda maxima or Giant Huntsman Spider. This particular species was found in Laos, however they are also found in Africa, Australia New Zealand and South America. This spider can have a leg span as far as 1 foot. They are known for their active hunting style and speed. 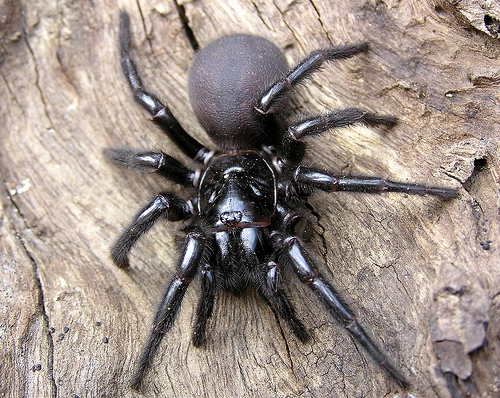 #6 Atrax robustus or Sydney Funnel-Web Spider. This spider is only found in Australia. They are quite poisonous and can cause death from their venom. They are generally darkly colored and medium to large in size. Their habitat is unique and sometimes involves trapping their prey via a “trap door”. They are sometimes confused with Misgolas rapax or Sydney Trap Door Spider. #5 Maratus volans or Peacock Spider. 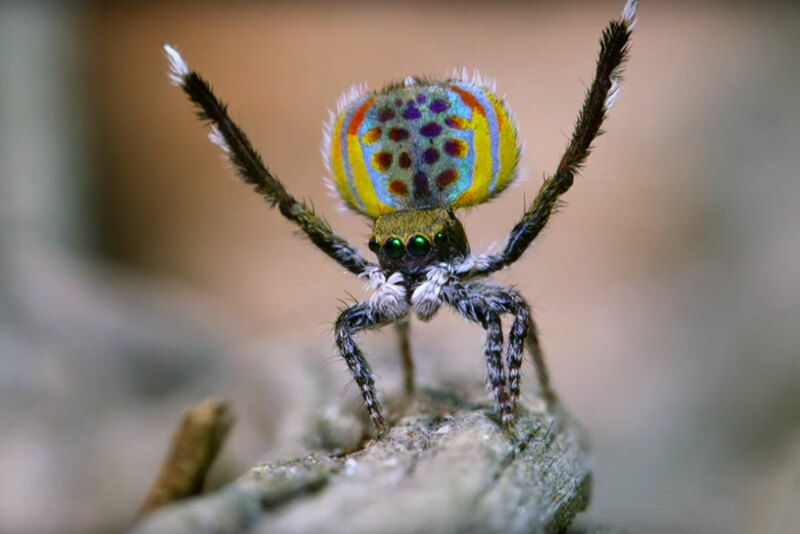 This spider is part of the jumping spider family and has a very distinct and colorful background. This specimen is unique because the males are brightly colored and more attractive as opposed to the females. They have flaps that open up into a fan shape to display their colors and dance when trying to mate. They are quite small, about 5mm in total length for both sexes. #4 Jumping spiders. These little guys and gals are amazing. There are over 5800 species with over 600 described genera. 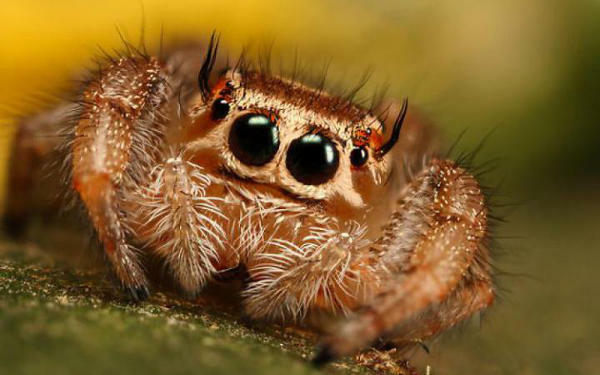 All jumping spiders have four pairs of eyes and are great hunters. They use their jumping abilities to hunt prey but rely mostly on their eyesight. They then bite the prey and the venom subdues them. Since the family of jumping spiders is so vast, I’ll post my favorite patterned one. 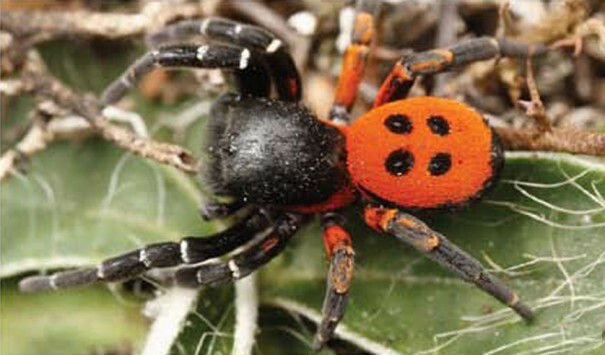 #3 Eresus sandaliatus or Ladybird Spider. This beauty is found mainly in northern and central Europe. The males are tiny spiders, ranging from two tenths of an inch to four tenths of an inch. The females are larger at four tenths of an inch to six tenths of an inch and are completely black. They don’t have the color that the males do. You can see why this is in spot number 3. #2 Platythomisus octomaculatus or Eight-Spotted Crab Spider. This spider is elusive and is on the endangered species list. It is believed to be one of the largest crab spiders at around 1 inch in length. It has seven spots on the top of its body, with the eighth on the underside. It truly is quite remarkable. 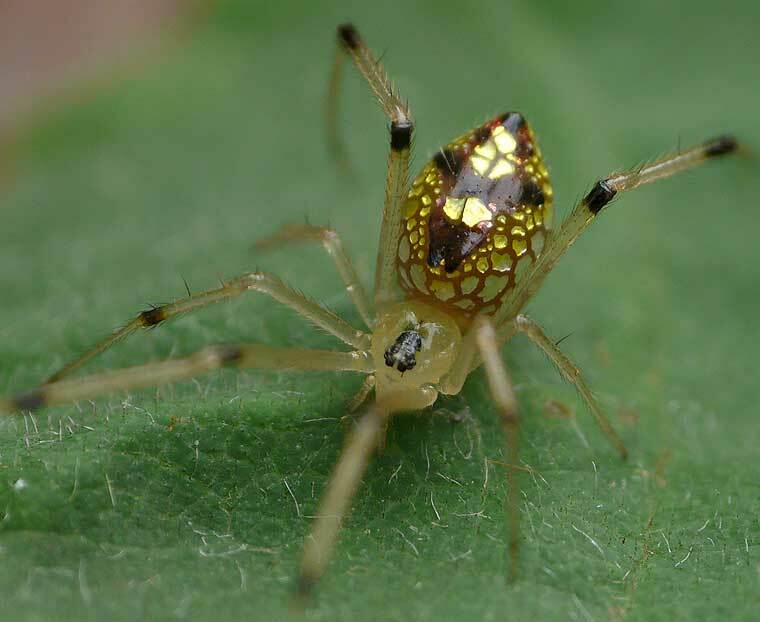 #1 Thwaitesia argentiopunctata or Mirror Spider. This is my absolute favorite spider in the world. It has a sequined type of pattern and varied opalescence in color. Almost reflective, these segments can change size if there is a presence of danger. They are Australian natives and are found in all the states there. Truly a remarkable specimen. Thanks for coming. I hope you enjoyed some of our amazing spiders and learned a little bit more about them. Stay tuned for further threads of various topics brought to you by Bella. Poison is a toxin that can harm us when swallowed or inhaled while a venom turns into a toxic substance only when it is injected or administered into our bodies by animals like snakes and spiders. 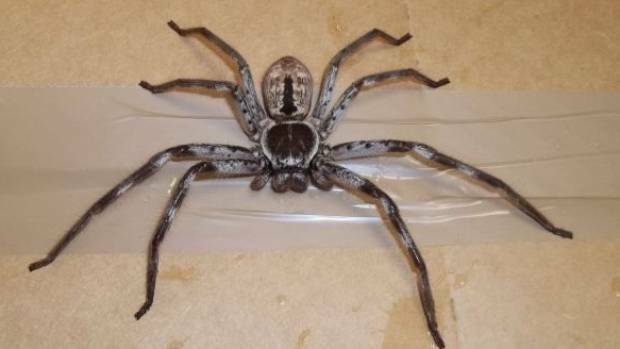 If you can find someone that has been hurt by eating or doing a line of Sydney funnel web spider you may call it poisonous. -grizzy- wrote: Poison is a toxin that can harm us when swallowed or inhaled while a venom turns into a toxic substance only when it is injected or administered into our bodies by animals like snakes and spiders. I get what you’re saying. A venom is a toxin and a toxin is a poison, not all poisons are toxins and not all toxins are venoms. Growing up, in my native country we'd see a lot of Huntsmen Spiders and St. Andrew's Cross Spiders. 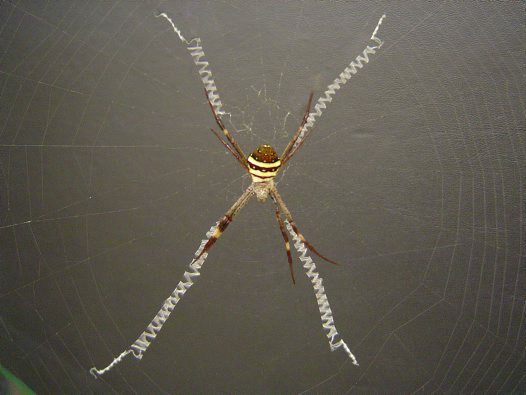 The St. Andrew's Cross Spider has to be my top favorite due to the sheer brilliance of their web design. Their webs have a unique zig-zag pattern that resembles a cross, apparently the purpose of this is to reflect more UV light and hence attract more insects to the web. There are some beautiful variations of the cross pattern. "There are 10 types of people in this world. Those that understand binary and those that don't." Venom wrote: Growing up, in my native country we'd see a lot of Huntsmen Spiders and St. Andrew's Cross Spiders. Oh, those are gorgeous. How big do they get?